Synology produce an array of packages that you can use to extend the use of your DiskStation beyond the humdrum file server. Amongst them is WordPress, one of the most popular content management systems. There’s an official Synology WordPress Package but you can also install the generic WordPress.org which will allow you to keep much more up to date with the latest security patches and run multiple sites. With a reasonably powerful DiskStation and fibre based residential broadband service (FTTC works for me) you can deliver some surprisingly fast sites. You’ll soon find yourself adding more complex themes, lots of plugins and perhaps a page builder to really let your design skills rip. But the more layers you add, the longer it takes for your NAS to render the content. From the end user’s perspective things aren’t so bad, although some extra speed is always welcome, but what can become a real nuisance is waiting to edit content in the back end, where you don’t need to load just the content, but all the tools too. The problem is that when you load the editing pages using your site’s domain name e.g. pfbarrett.uk, your PC has to poll the Internet’s DNS Servers to find the IP address where the content can be found, even though it’s right next to you on your LAN. 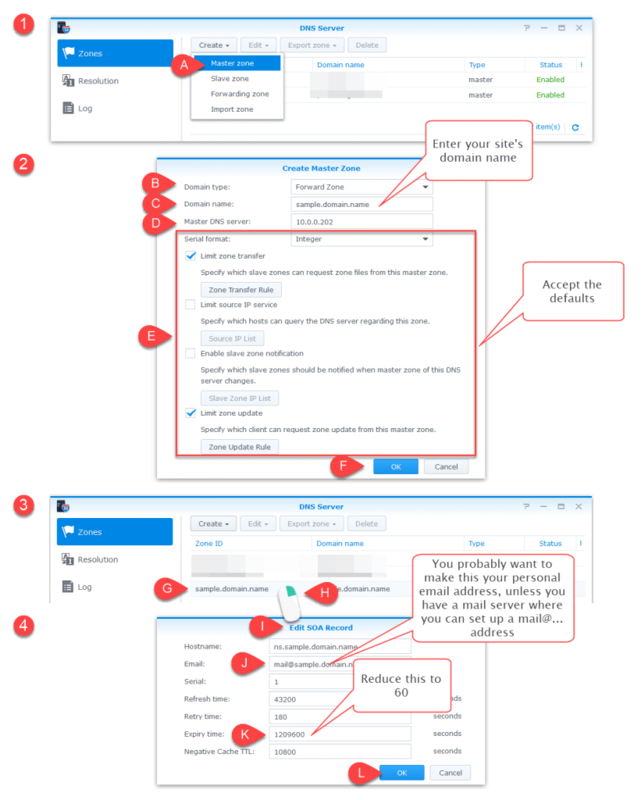 Those images are modified versions of ones that appear in the Synology help system. 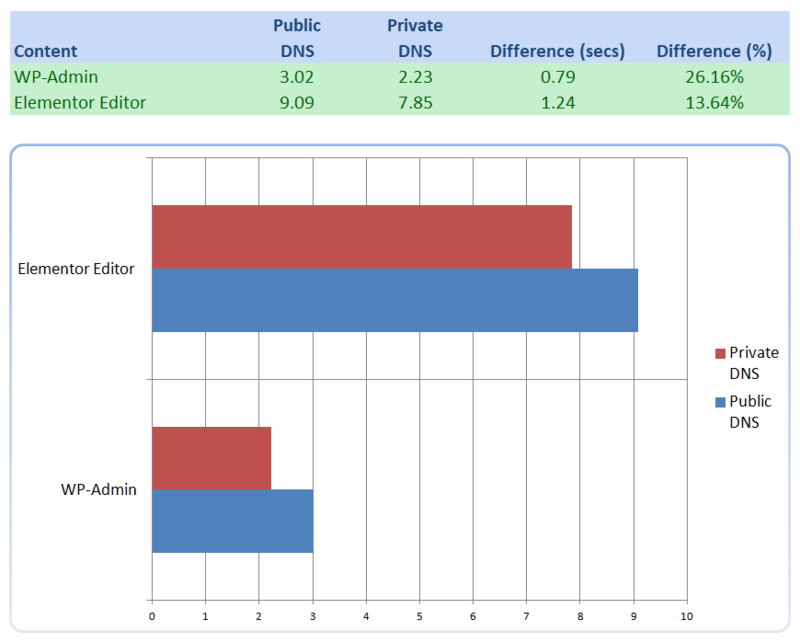 Performance on the back end is what I’m interested in and, as you can see, there are significant improvements in both. They are not stellar but when you’re loading pages frequently, every second counts. 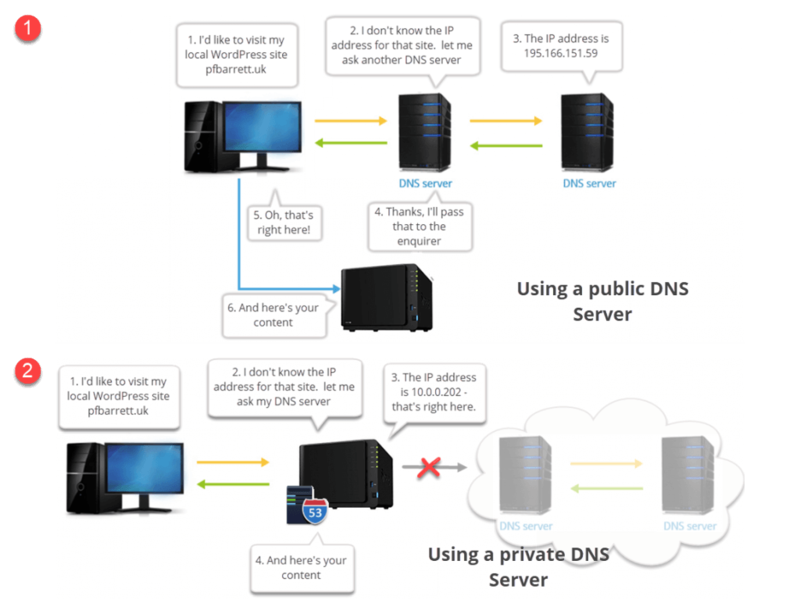 Note: You will find that load times for the pages in the front end will be no quicker on the private DNS server than on a public server, due to the different ways that the front- and back-end content are rendered. But that’s irrelevant in this case. Your end users will be using the public servers and, when you want to load the front end, you are unlikely to notice any difference. If you have a Synology Router as well as a DiskStation you can choose between installing it on the router or the DS. It’s better to install it on the DS – it has a more powerful CPU and more RAM than the router. Let the router route, especially if you are already running Threat Prevention and Safe Access packages on there. DNS Server is a regular Synology package, available in Package Center and installed and run just like any other package. That’s all there is to it. You now have a private DNS Server that will serve the requests locally. it will be faster and has the added bonus that you can use the domain name for everything – you never have to worry about the security certificate issues associated with using the LAN IP address. By deploying all three of these methods I have been able to reduce Elementor-editor-page-load times from 16 to just under 8 seconds. 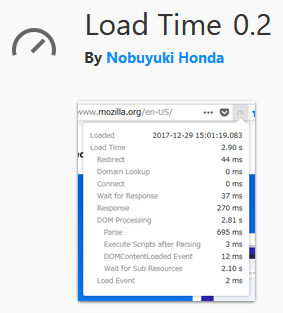 Meanwhile, in the front-end, visitors page load times have dropped from 6 to 3 seconds. The latter is a significant contributor to a site’s public success because at 6 seconds, it was close to the point at which viewers might abandon the page. The biggest contributor to the front-end speed improvement was the SSD installation. Nathan Poulos from the Synology Admins & Users Facebook group. Why not join? I read some tutorial on your site. 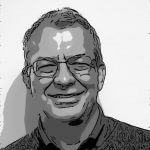 About running WordPress on synology. May i know which synology is using? I’m thinking to buy DS1618+ but worry about the computing power is not enough for running WordPress. Hi Ken. I’m using a DS916+ with a DX513 expansion unit. The 1618 will be fine. I recommend you use a couple of SSDs in a separate volume, formatted as EXT4 to install and run your sites. That make a big difference.